What an awesome morning for a brisk walk. I am motivated to lose a few pounds by June. I know it takes about three months for me to tone up and feel really comfortable about my appearance. I love to be around water during the summer months and of course I wear a swimsuit. 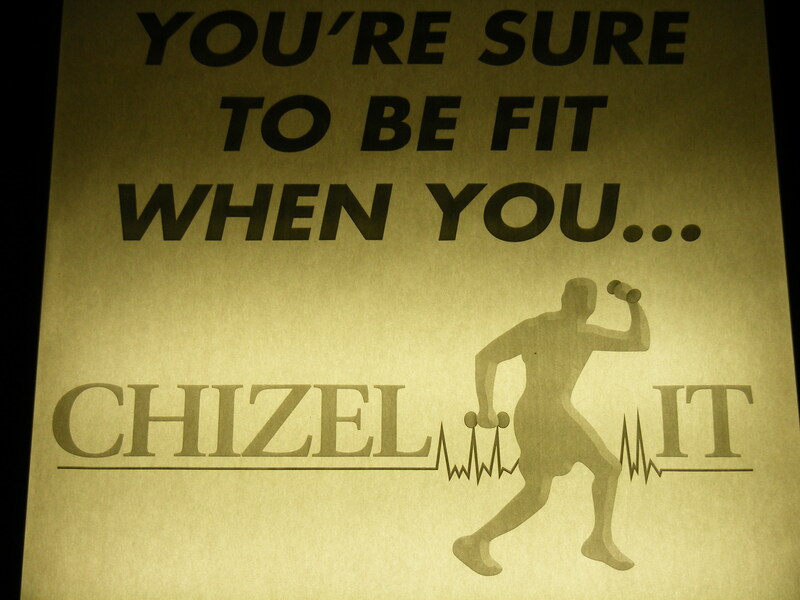 I love going to Chizel-it Fitness Center in Owings Mills because of the fitness classes. I have gone to the Burdick center at Towson University, but there I feel like I’m on an isolated Island. Everyone there seems to keep to themselves and are so very serious. “You have to find someone to be accountable to…you will let yourself down before you let someone else down,” says Charles “Chizel-it” Harris III, Owner of Chizel-it Fitness Center. I am serious about working out, but I love to have fun doing it. At Chizel-it, we work, sweat and laugh. The trainers are serious about what they do and have fun doing it. My daughter does not care for the atmosphere there, so this month she is getting a membership at the YMCA.